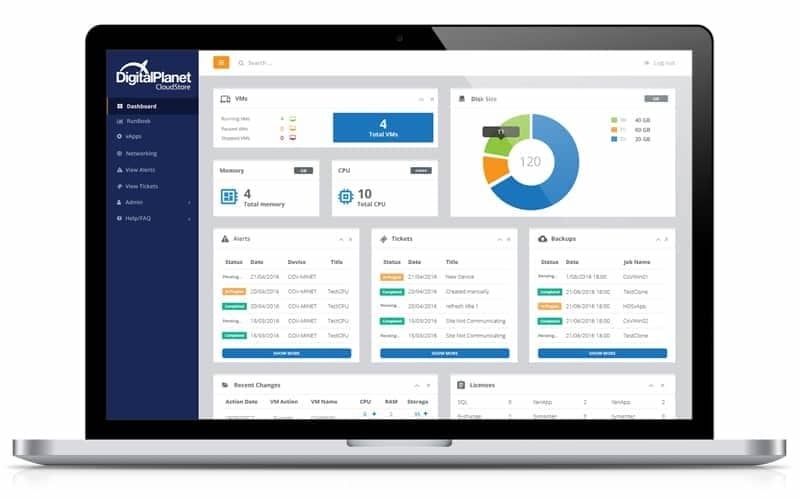 What is Digital Planet Cloudstore? At Digital Planet, we want to place the power back in your hands. Easy, efficient and economic – Digital Planet Cloudstore delivers complete visibility and control over your business-critical systems under one ‘pane of glass’. Monitor the performance and security status of your business environment with our secure and user-friendly interface. Complex processes are simplified with features such as life-cycle management, users and role administration, cost analysis and parameter reporting. This is the forefront of cloud console management, ready and able to evolve your enterprise Digital Transformation today. Need Cloud visibility? Request your free demonstration today.